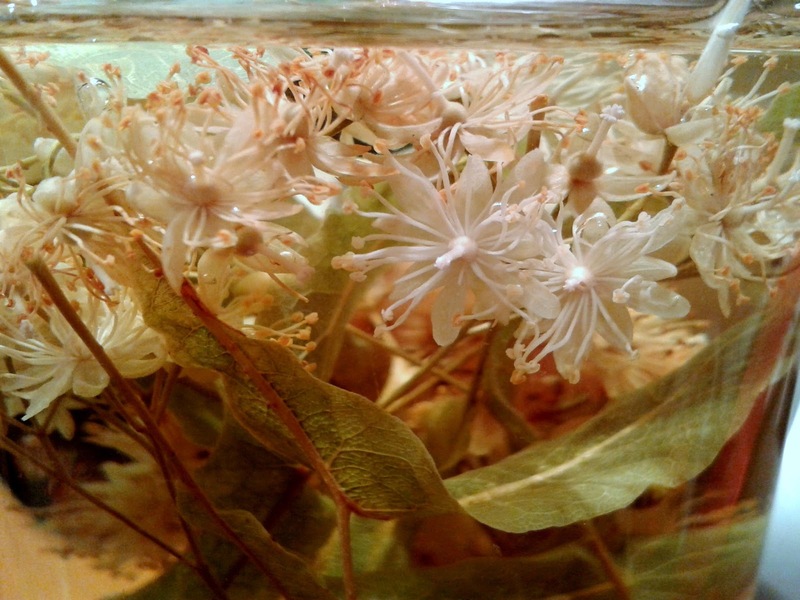 I'm going to begin this post with what I call, a cup of Faerie Blossom Tea. 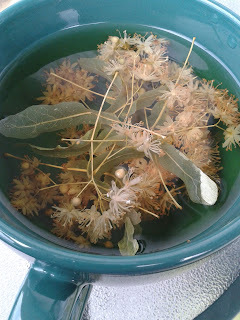 (Otherwise known as Linden Flower Tea.) These fragrant Linden tree blooms were actually gathered back in June and then dried - they make a lovely, relaxing tea. 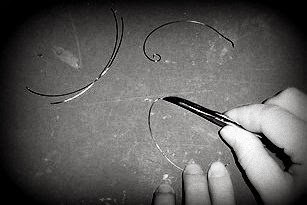 Cut 3 or 4 pieces of wire for each wing (depending on desired number of wing segments) each gradually a little bit longer than the first. 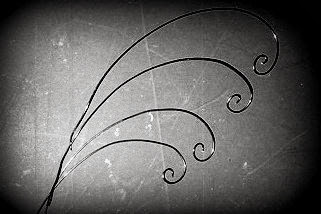 Curve to desired shape. Make 'Curly-Qs' if desired. Use very fine needle nose pliers or pointy tweezers. Lay wire flat on table or work surface and grasp the very tip of wire firmly with pliers/tweezers. Hold the tip very still, as the center pivot point. 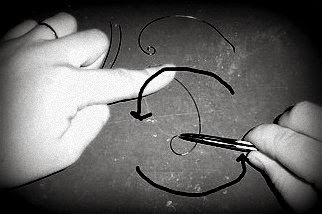 Use other hand to gently bend the wire round (clockwise or counterclockwise; whatever is comfortable). Curl tightly or loosely depending on how much of a curl you want. Go slow and be careful to avoid 'kinks' in the wire. Fold the tissue paper in 4 layers (do this twice or use 8 layers for two wings at once.) Cut the approximate shape of the wing. Don't worry about perfection, you'll be trimming it later - in fact you should make it a bit bigger than the final wing size (except where the curly-q's will extend out). Using slightly watered down white glue (I don't really have a measurement here but too much water will cause your paper to be soaked and tear easily, but straight glue might be too tacky causing tearing as well) and a flat wide brush (at least an inch wide depending on size of wings, if you use expensive brushes wash them thoroughly afterwards to remove glue). On top of a piece of wax paper (keep more than one piece on hand) lay down the first layer of tissue. 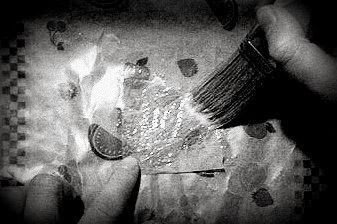 Brush the glue gently and quickly over it, covering right to edges of the paper. Then lay down a second layer of tissue (careful to make sure edges match up). Brush this layer as well. 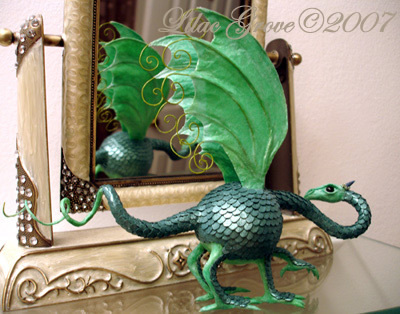 Do watch for air bubbles but don't worry about wrinkles, it adds texture and character...especially for dragon wings; it will look a bit 'leathery' when fully dry. Don't add the last two layers yet...next come the wires. Carefully lay out your wires right on to the tissue (while the glue is still tacky) so the ends come to a point but the curly-q's are off the edge of the paper (you might have to straighten out the wires a bit to make them reach; do this before placing on tissue paper). 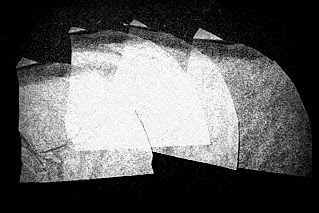 *Now, you very carefully lift/peel the paper wing off of the wax paper. Start lifting from where the wires meet together at the base of the wing, use tweezers if necessary to grasp all the wires together. Transfer to a fresh piece of wax paper. Don't wait too long to do this step or your wings will be stuck to the original piece of wax paper. Now you can use a hair dryer on low to speed dry each side. Lift, and place flat on wax paper each time while gently drying...when each side is dry enough (not tacky on the outside) use your finger to pat down any serious wrinkles and press gently along each wire to make sure the paper is secure. Let the wings dry in a safe place (a few hours or over night) and trim to desired shape once completely dry. 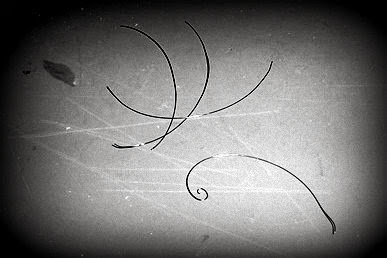 I use a fine tip exacto knife or a sharp pair of cuticle scissors (reserved for art projects) to trim between the curly-q's. 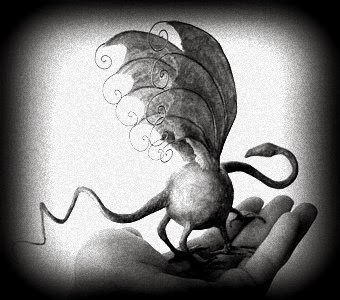 Because the wire will hold its shape, the wing is gently pose-able. Until next tutorial, Happy Dragon Making!